This ghost-story of a play won August Wilson a Pulitzer Prize in 1990. It is part of his 10-play cycle following this history of African-American life in Pittsburgh. The slice of life brings the audience into the home of Doaker Charles (Roscoe Orman) where Boy Willie (Clifton Duncan) and Lymon (Gayden Ryan Kane) arrive with a tuck full of watermelons to sell. Boy Willie plans to sell a piano that his sister, Berniece (Christina Acosta Robinson) and he have inherited. He wants to use the money to buy some land to farm, but his sister refuses, even though she and her daughter, Maretha (Elise Taylor) rarely play the instrument. The piano tells their family's story through slavery with pictures beautifully carved on it by an ancestor. Berniece refused to sell it when her suitor, preacher Avery (Daniel Morgan Shelley) brought a prospective buyer to the home (Alexis Distler's set design allows us to see the interior of the house, with its posh furniture, as well as its ragged edges). More than just family tensions are at play here, though, as the ghost of the man who owned the land Boy Willie wants starts making appearances and the piano seems to have a mind of its own. Wilson's tale is intimate and absorbing. Director Jade King Carroll coaxes strong performances across the board, but excels at finding humor to offset the heavier tones of the play. 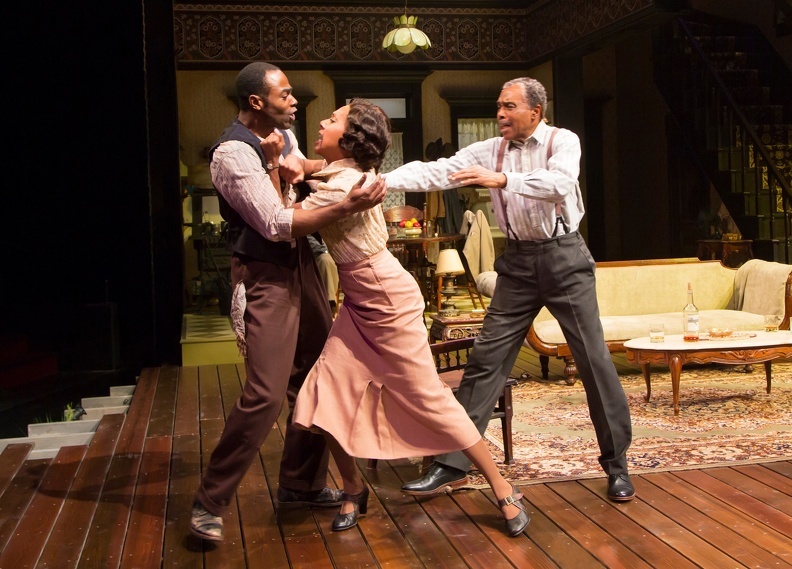 Cleavant Derricks steals the show as Wining Boy, Doaker's humorous older brother, and Toccarra Cash lights up the stage as a romantic interest for Boy Willie and Lymon. A spiritual sung by the men (composed by Baikida Carroll; Music Direction by Bill Sims, Jr.) is a delight (Derricks' is in extraordinary voice). Orman, seems to search for some of his lines; the three-hour run time is too long. The Piano Lesson plays at Hartford Stage, 50 Church St., Hartford, through Nov. 13. Performances are Tuesday, Wednesday, Thursday, Sunday at 7:30 pm; Friday and Saturday at 8 pm; Saturday and Sunday at 2 pm. Tickets are $65-$81: www.hartfordstage.org; 860-527-5151. What's It All About? Good question. Let's say that you might be able to figure that out before the explanation of the bizarre plot you have just seen is spelled out at the end, but for many the world premiere play from comedian Steve Martin ( presented by Long Wharf in conjunction with the Old Globe in San Diego), is a real puzzler. Two couples get together to watch a meteor shower at the Ojai, CA home of Corky and Norm (Arden Myrin and Patrick Breen). Norm has invited Gerald and Laura (Craig Bierko -- I saw excellent understudy Josh Stamberg) and Sophia Brown, whom they don't know well, but who know another couple, the husband of which, Norm is eager to meet for work. He probably should have thought that through a bit because Gerald and Laura are very strange. Gerald's kind of funny and larger than life -- think Steve Martin -- and Laura is rude and blatantly sexual in her approach to Norm. But wait, Norm and Corky are kind of weird too. They old hands and recite mantras learned through some sort of marriage therapy training for yuppies. And when a meteorite takes Norm out of the picture, Corky isn't too affected. Wait again! Maybe that meteorite didn't really hit. Something seems to be wrong with perception here as scenes repeat from different perspectives. Just what is going on as the meteors light up the sky( Lighting Design by John Holder). The fantasy-inspired Orignial Music by John Gromada (who also designs the sound and three eggplants might provide some clues. Or maybe not. If you aren't quite sure, you won't be alone (at intermission I wrote in my notes, "I have no idea what is going on." Michael Yeargan designs the upscale patio which rotates to help change perspective, but not enough to help Director Gordon Edelstein convey what is taking place. There are some funny moments -- more than I found in Martin's other plays given a run at Long Wharf like The Underpants and Picasso at the Lapin Agile. Norm's return to the action following the meteor strike certainly is humorous, thanks in part to Costume Design by Jess Goldstein. The script, however, is so bizarre and nonsensical, that we are wondering what is going on most of the time instead of enjoying some insightful humor. A good edit and a trim of the one-hour, 45 minute run time would make a big difference. Meteor Shower runs at Long Wharf Theatre, 222 Sargent Drive, New Haven, through Oct. 23. Tickets start at $27: longwharf.org; 203-787-4282. Raphael Nash Thompson (Gloucester). Photo: Gerry Goodstein. Shapkespeare's tragedy of betrayal, coinciding with the recent stop at UConn of the Folger Shakespeare Library’s national tour of "First Folio! The Book that Gave Us Shakespeare." Graeme Malcom is a brilliant King Lear and third-year MFA student Arlene Bozich is a star to watch as his eldest daughter, Goneril. I will spare you the plot -- check the Sparks Notes -- but this is as solid a production of Lear as I ever have seen (kudos to Director Dale AJ Rose). A strong ensemble cast includes Michael Bobenhausen, Darren Brown, Natalia Cuevas, Jeff DeSisto, Curtis Longfellow, Emile Saba, Meredith Saran, Bryce Wood. Kent Coleman, Nick Greika, Derrick Holmes, Scott Redmond, Ben Senkowski, Ryan Shea, Andrew Smith, and Kristen Wolfe. Besides the pleasure of seeing Shakespeare done well, the action takes place on an impressive angled set designed with grey stone, towering doors and arches designed by Pedro L. Guevara. Minimal props and period costumes that range from armor to garb in earthy hues (thank you, no red sneakers for Lear) designed by Raven Ong help tell the tale without distracting from the language (of which most of the actors have strong command). Malcolm, who appeared on Broadway in Equus, Translations, Aida and The King and I is a consummate Lear: a sad, mad dad who also makes us laugh. Bozich is a riveting Goneril and has a better grasp of Shakespeare's language than some actors on Broadway. She is fascinating to watch. 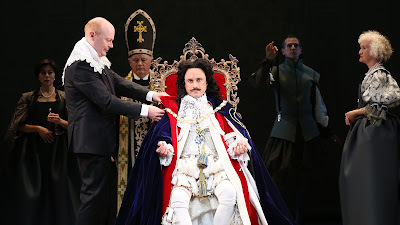 Also standing out with commanding stage presence is Kent Coleman as the Earl of Kent. Sound and special effects enhance the mood. The creative team includes: Margaret Peebles (Lighting Design), Justin Graziani (Sound Design), Greg Webster (Fight Choreography), Karen Ryker (Voice and Text Coach) and Ed Weingart (Technical Director). 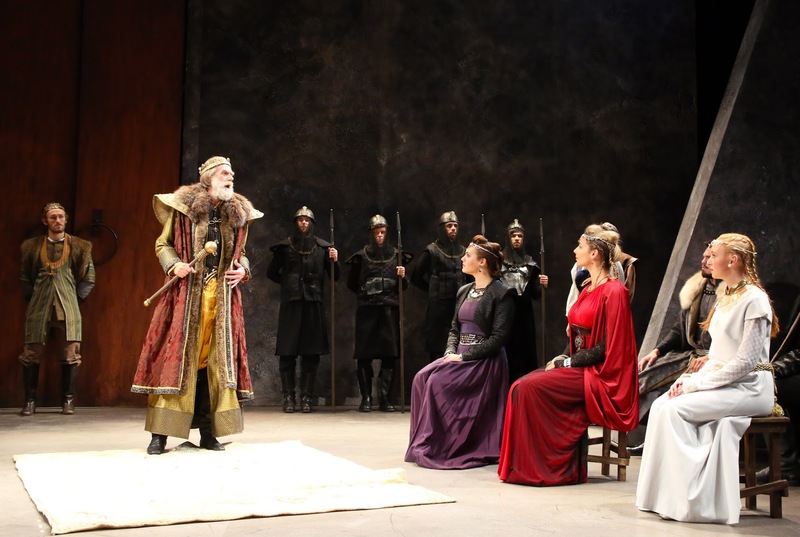 King Lear plays at the Harriet S. Jorgensen Theatre on the Storrs UConn campus through Oct. 16. Evening performances are 8 pm tonight 2 and 8 pm Saturday and 2 pm Sunday. Tickets are $7-$30: www.crt.uconn.edu ; 860-486-2113. Politicians volley with each other over who should be in office and what future the country should take. Are we watching a snippet from one of the most watched debates between Hillary Clinton and Donald Trump? No. This political drama takes place on stage in a timely play by Sarah Ruhl commissioned by Yale Repertory (kicking off its 50th anniversary season) to examine the father/son dynasties of George H. and W Bush and Charles I and II. A lot of this action takes place on the tennis court. George 41 (T. Ryder Smith) and the family -- George 43 (Greg Keller), Jeb Bush (Danny Wolohan), Barbara (Mary Schultz) play a doubles match while Laura (Angel Desai, who music directs and plays the harpsichord) detached, reads a book. While the match heats up on the court (Marina Draghici's set is designed with a net to keep some real volleys from landing in the audience), so does the competition between George and Jeb for the their parents' approval. Jeb is the apparent favorite, but George somehow seems to end up with all the breaks. The relationship between the new king (following the death of Charles I) and his Whipping Boy changes from fond affection (there are implications that Charles has romantic feelings for Barnaby) to rivalry when the Whipping Boy falls for his sovereign's intended, Catherine of Braganza (Kernen Lugo, who also plays Jeb's wife, Columba). John R. Colley, Evelyn Giovine, Hudson Oznowicz and Arturo Soria complete the ensemble bringing this allegory to life (and it even includes a Donald Trump impersonation making the whole thing very timely). Michael Raine choreographs, Rick Sordelet directs the fighting and Meggi Sweeney Smith provides Baroque expertise and choreography as Mark Wing-Davey directs Ruhl's campaign across centuries. The women don't figure much in the action (perhaps a commentary on the truth of that statement) but there are some funny one-liners from Barbara (nicely delivered by Schultz) and some insight from Laura who is the one charged with mopping up the blood following the war sanctioned by her husband (and that blood, by the way, has a nifty texture that lets it clean up quickly after spreading on the stage). "I have a little theory about human evil—I call it my Judas theory," she says. "I figure that approximately one twelfth of the world—and of the disciples—are like Judas-- they want to destroy each other. And one twelfth or so wants to save other people. But the rest of us 10 out of 12 just wants to get by and tuck our children in at night. And these people with their bombs and their anger and their—Well. Things you can do when you feel like chopping off someone else’s head: Take a deep breath. Paint. Dance. Read. Plant a garden. Call your mom." It is entertaining and refreshing, but at two hours and 20 minutes with an intermission, it begins to feel like a personal essay stretched too long. 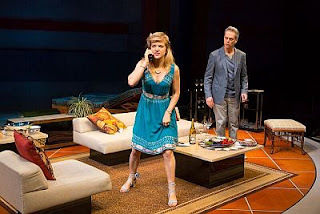 The play did receive a 2016 Edgerton Foundation New American Plays Award, however. Scenes from Court Life runs at Yale Rep's University Theatre, 222 York St., New Haven through Oct. 22. Tickets are $12-$99: yalerep.org; 203-432-1234; Box Office, 1120 Chapel St. Lighting Design Stephen Strawbridge, Sound Design Shane Rettig, Projection Design Yana Birÿkova, Technical Director Kelly Rae Fayton, Dialect and Vocal Coaches Beth McGuire and Jane Guyer Fujita. The Hartford Symphony Orchestra kicks off its 2016-2017 Masterworks season with a program of music with global flair! Rimsky-Korsakov’s Capriccio espagnol is one of the most famous orchestra showpieces, a vividly brilliant composition based on Spanish folk melodies. Inspired by the collection of Middle Eastern and Indian tales “The Thousand and One Nights,” Rimsky Korsakov’s Scheherazade brings to vibrant life the story of the young wife of a Sultan who tells tales to her husband to forestall his plan to kill her. 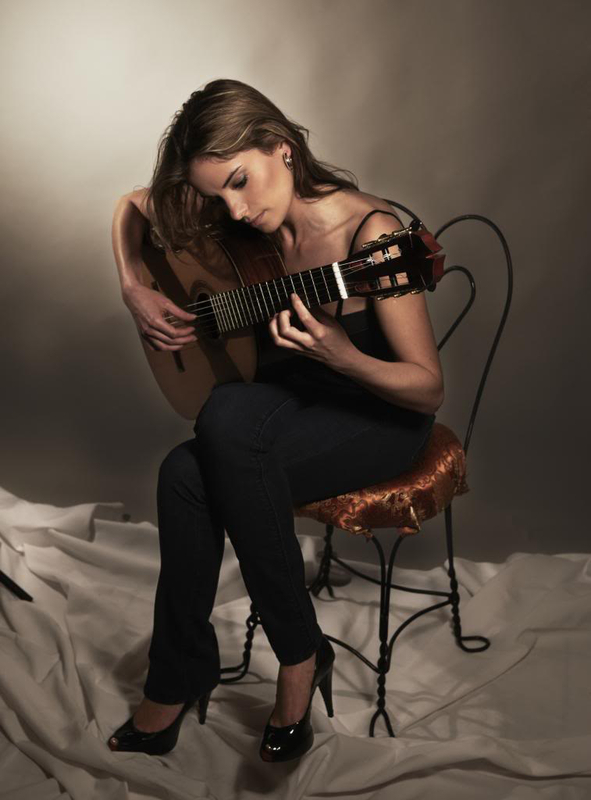 Rodrigo’s extraordinarily beautiful Concierto de Aranjuez for Guitar and Orchestra is unquestionably his best known work, and established his reputation as one of the most significant Spanish composers of the 20th century.